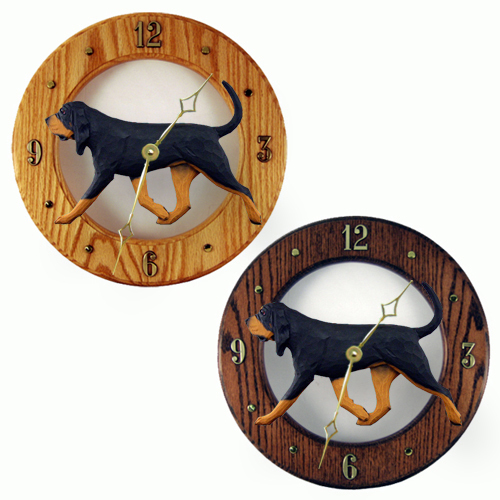 Beautiful hand crafted solid oak dog breed wall clock featuring a resin dog breed reproduction of an original wood carving by Master Woodcarver Michael Park. Each 3-D dog is hand-painted in breed specific colors of your choice. Clock measures 12 3/4" in diameter x 3/4"
Great for displaying in the kitchen, living room, den, office, camper or motorhome. This is a stunning Wall Clock that will definitely show your love of dogs no matter where you place it. Ships direct to you by our woodcarver, please allow 10-14 days delivery time. Please order prior to December 1st to insured Christmas delivery.